You could feel the peace and the breeze of the ocean thanks to this washable rug with mini lobster at borders. The linen and beige tones at the base of the rug will remind you the white and fine sand from paradisiacal beaches. 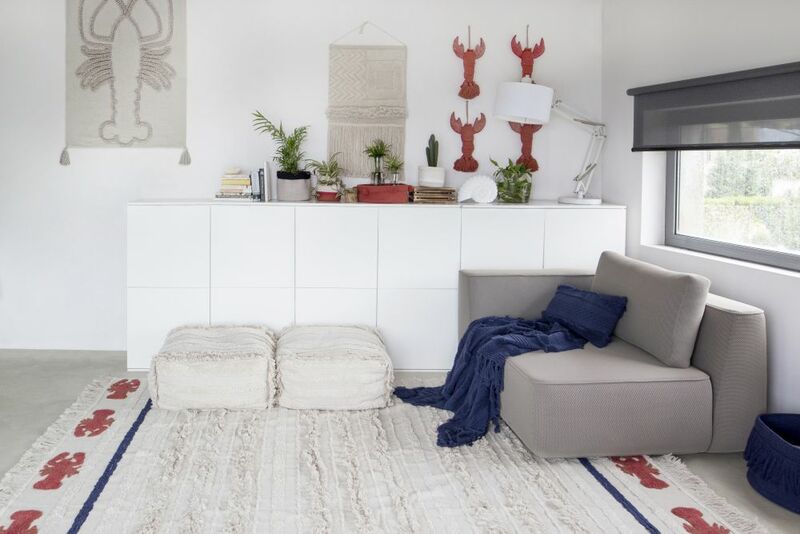 Also, the Navy-blue stripes add a maritime look to the handmade rug. 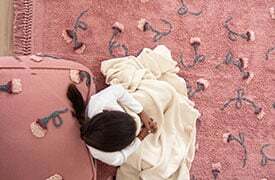 In the Mini Lobster design, we have played with the cotton base like the others Canvas designs, leaving parts of the rug without weaving. 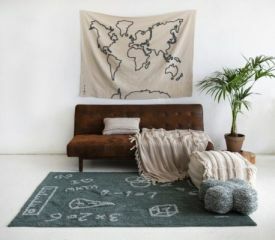 Every single artisanal rug has been handmade, so that there are not two equal rugs and each piece is unique. Bigger, with a size of 170 x 240 cm.